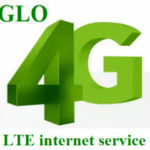 Glo internet data subscription has the highest number of subscribers in Nigeria. This is due to their affordable data subscriptions. 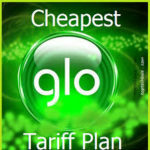 If you wish to also join their growing number of internet subscribers or you already are, you might want to learn how to check your Glo Data subscription balance. USSD Code: This is a very direct method for checking your Glo Data balance. All you just need to do is dial the code on your phone and press the send button. Shikena! Simply dial *127*0# and press the send button, your data balance would appear on your phone immediately. 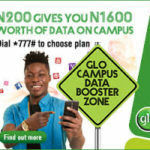 SMS Code: This is also a direct method for checking your Glo data balance, the only difference is that you get your data balance via text message. Using this method has it’s own advantage, which is to help you keep track of the date your data subscription would expire whenever you refer back to the last data balance text message. To check via SMS, simply send INFO to 127. Your data balance would be sent to you via text almost immediately. By Dialing *777#: this is one of the most complicated methods of checking your data, because of the navigation process. The code is quite easy to remember, in case you’ve forgotten the direct USSD code or the SMS code. You can also use this code to subscribe for data. To check your data balance with Using this code *777#: See the steps below. Step 1: dial *777# and press send, you’ll be provided with different options. 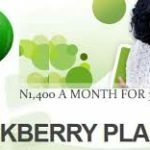 Step 2: Pick the options that best applies to you I.e if you’re using the 3G Services – Press 1, if you’re using the 4G LTE services – press 2 and if you’re using the BlackBerry services – press 3 and so on. Step 3: Using the 3G services, after pressing 1, it’d show a new number of options. Select 4 which is “Manage Data” and press send. Step 4: On doing this you’re shown another set of options, select 4 again, which is “Check Balance” and press send. You’ll get your data balance immediately. It is quite long, yes, but when you forget other methods, just simply dial *777#. 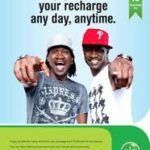 Online: This is Glo’s HSI Self care portal for Glo subscribers to manage their data subscription, check their balance, subscribe for data and amongst many other things. To check your data balance through Self Care portal, simply enter hsi.glo.com on your phone’s browser. Once you get to the portal, your data balance would appear immediately on the portal with your phone number. 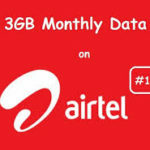 Previous Post: Airtel 500 Naira Data Plan: How To Subscribe And All You Need To Know About The Bundles. Please how doni opt out from CUG user. That one that deduct #250 every month. Thanks. I’m sharing my data with a friend. And my monthly subscription doesn’t last me up a week like before, even when I turned off my data. Please is there any way I can monitor how my friend uses my data, maybe he uses more than I use? I want to know if I can check it. Thank you!